Mon 17th & Wed 19th :class as usualMon 24th & Wed 26th: no class Mon 31st: no class... 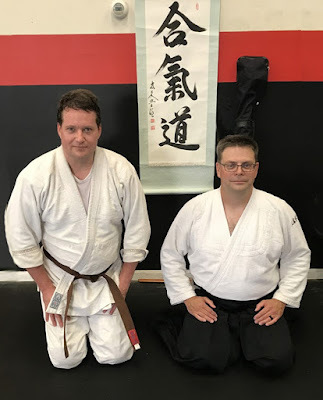 Wed Jan 2nd 2019: class resumes! Wed Aug 1st class is cancelled. Upcoming Class schedule-next Wed class is cancelled. It is just ~3weeks until the Weapon's Seminar. 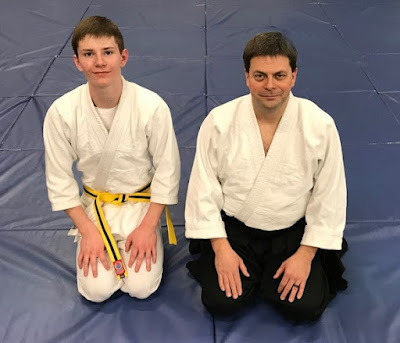 Please RSVP to Sensei Domascho if you have not already. 2018 Erin Sighting Welcome back! 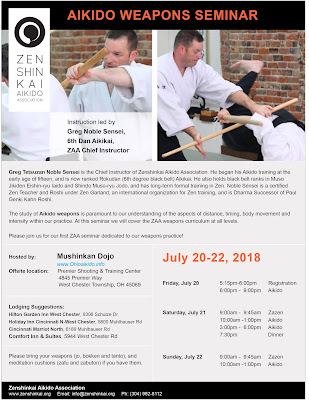 And don't forget to place July 20-22, 2018 on your calendar, for the ZAA Weapons seminar hosted by us (Mushinkan Dojo); hosted at Premiere Shooting & Training Center, West Chester OH. 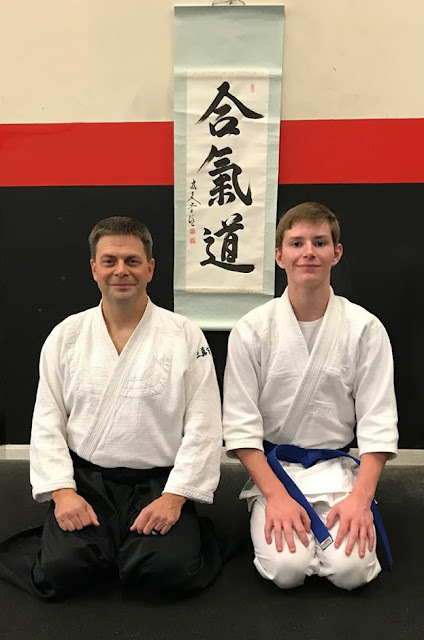 Congrats to Ryan Williams, now 5th Kyu! 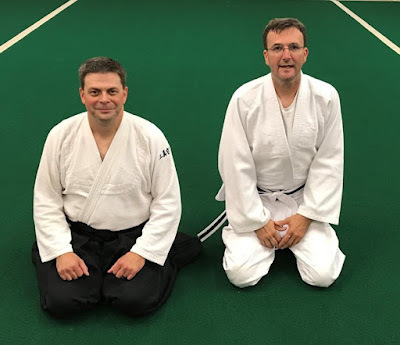 More to come on this, but we do have dates and a venue arranged for a 3-day Aikido weapon's seminar (part of the Zenshinkai Aikido Assocation series). Save the date...and look forward to a cool brochure. Class cancelled due to inclement weather. Mon Jan 15th. Mon-Jan-15th is Martin Luther King Day: our gym (Adrenaline Sports & Fitness) is open and class will be on. Inclement weather messed up many schedules this morning (cancelling local schools), but our gym is open (Adrenaline Sports & Fitness) and roads & weather are expected to be okay this afternoon... so class is still on for tonight at 7PM. Please drive safely. Mon, Jan 8th, Class resumes normally at 7PM! Adrenaline Sports & Fitness's Winter schedule affected class on Jan 3rd; it prompted an ad-hoc Holiday "Picnic" at Raymond's Pizza (finally, we delivered on Sensei's vision to have a holiday celebration). Missed Nicole and Ryan W., but were graced with Master Silver's presence. Stay warm, and see everyone Monday. New students expected then!
? Mushinkan January Picnic ?